The Exclusive Christmas Collection is here! 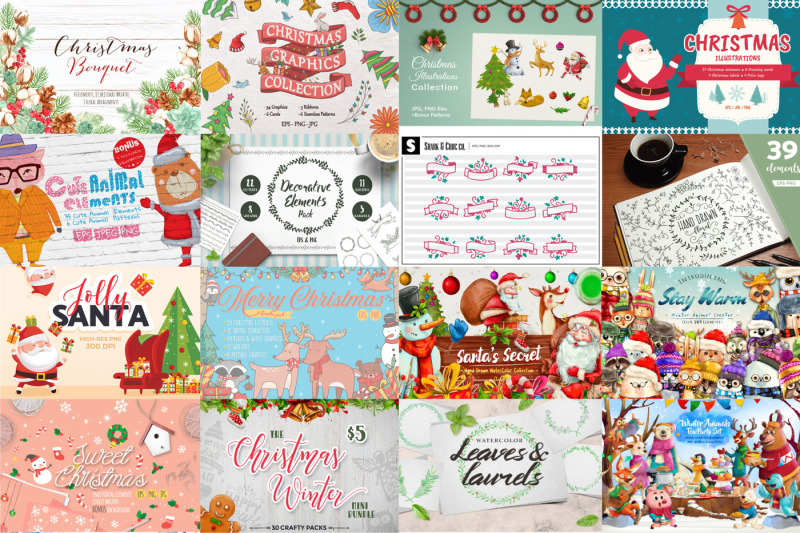 With a vast selection of Christmas cliparts and cut files, you're in for an exciting bundle! 1200+ graphics and over 100 cut files, which retails at $202 is now priced at $15. That's over 75% of savings. You can you these beautifully designed Christmas files for all your upcoming holiday arts & crafts projects. Grab the bundle now as it will only be available for a month from now!